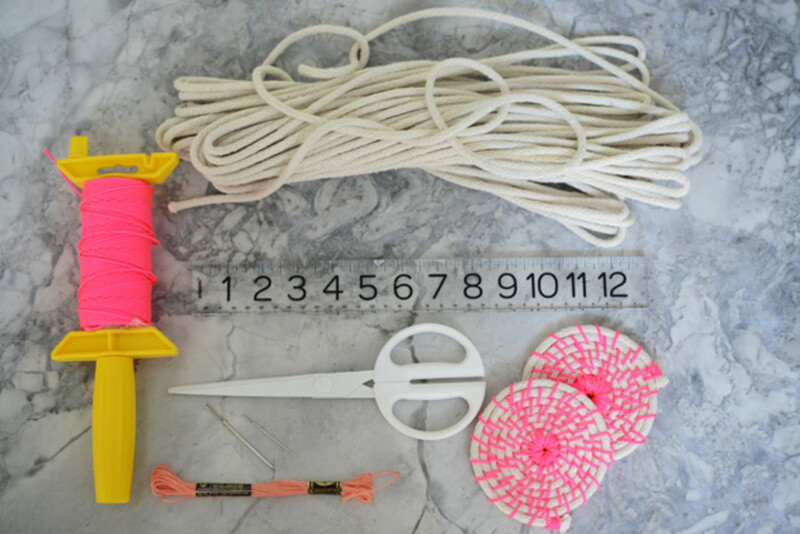 Items needed: neutral colored rope, neon colored nylon twine, ruler, scissors, needles (one thin and one thick), and sewing thread. 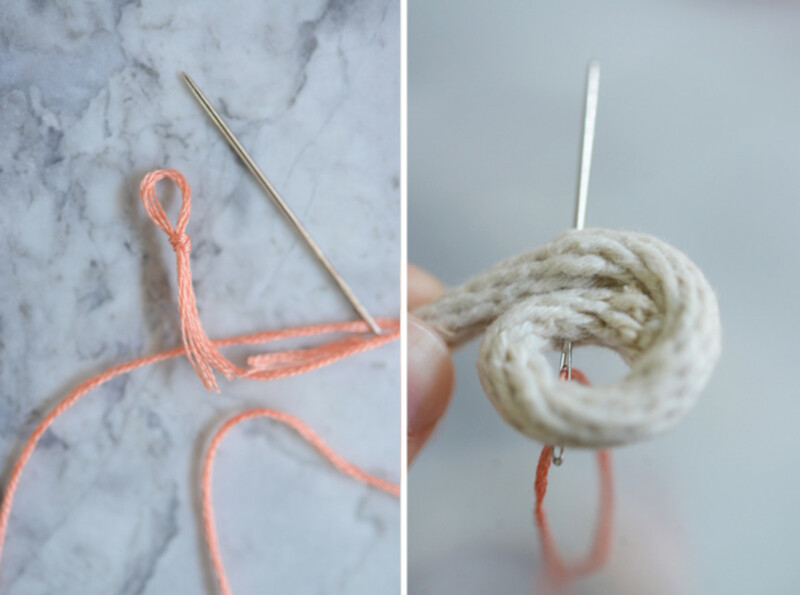 Step 1: Pull the thread through the head of the smaller needle and tie a knot to secure at one end. 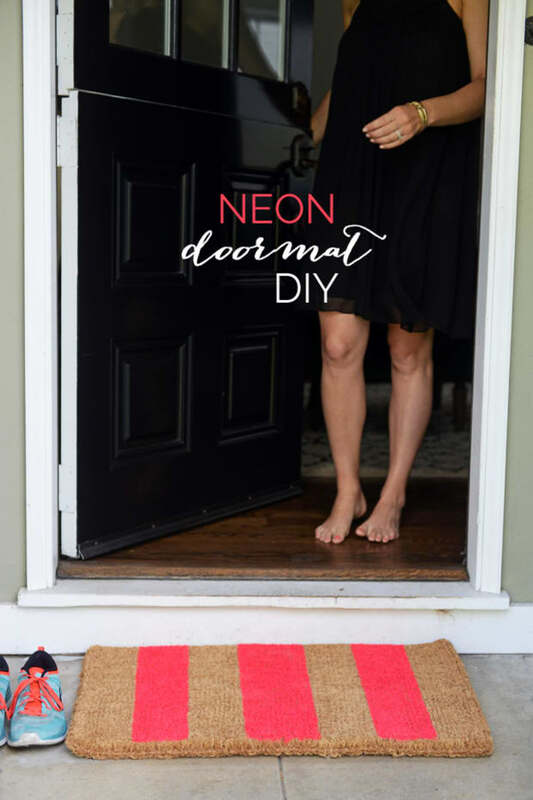 Don&apos;t worry about the color you use since it will be covered with the neon twine. Step 2: Cut a 4&apos; length of rope. 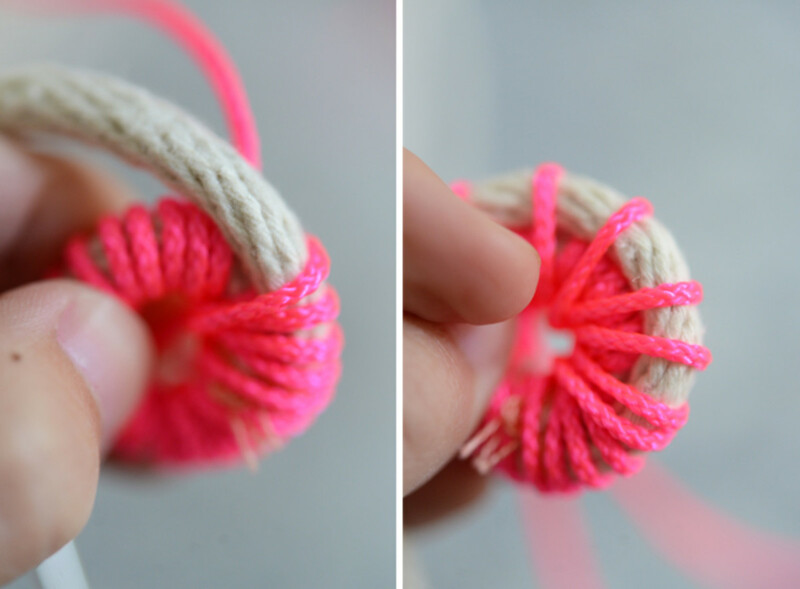 Take one end of the rope and fold it into a small, overlapping loop (photo above, on right). 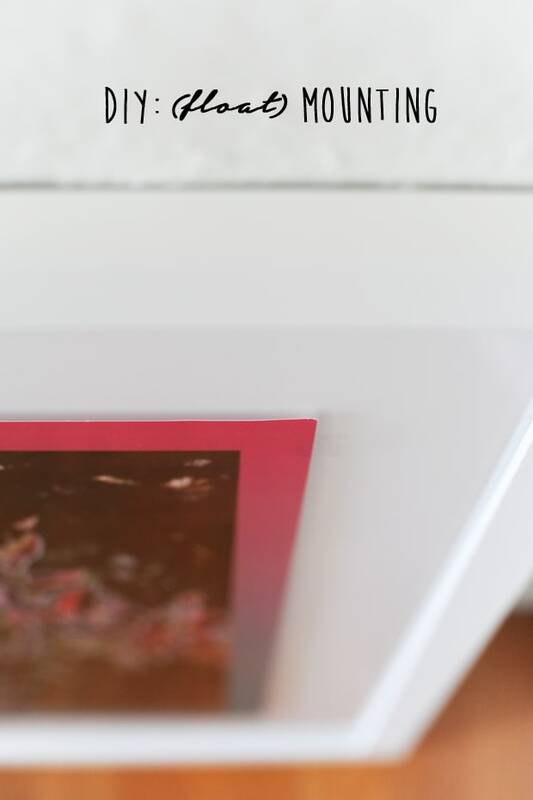 Take the threaded needle and sew the overlapping areas together, creating a secure loop. Repeat the stitch several times until you feel the loop is tight (I stitched it four times.) 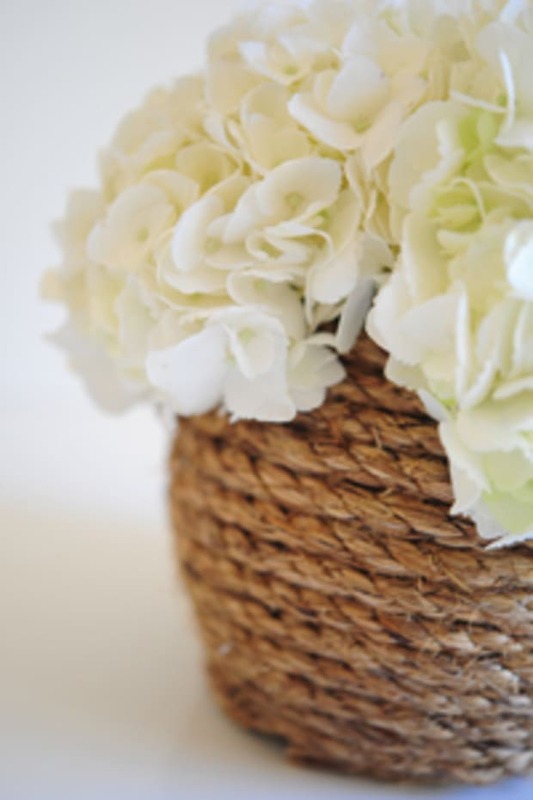 Finish by tying a knot in the thread and cut off any excess. 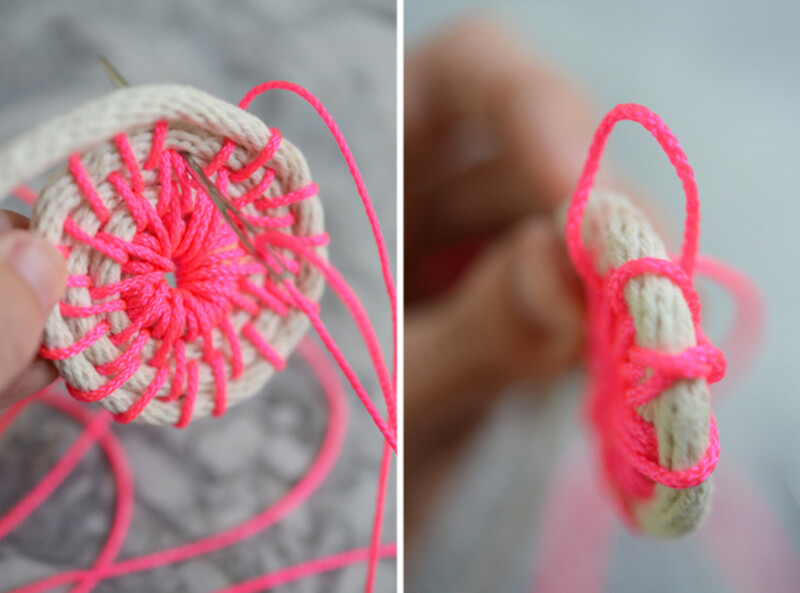 Step 3: Cut a long piece of the neon twine (about 4-5&apos;) and pull one end through the head of the larger needle. 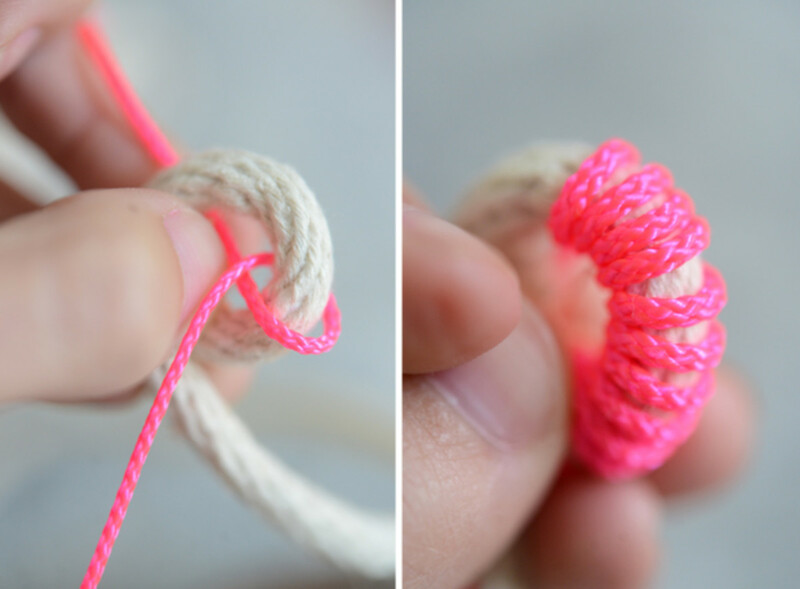 Tie the other end of neon twine to the rope loop (from step 2), then pull the needle through the center and continue wrapping until the twine fully encases the rope loop. 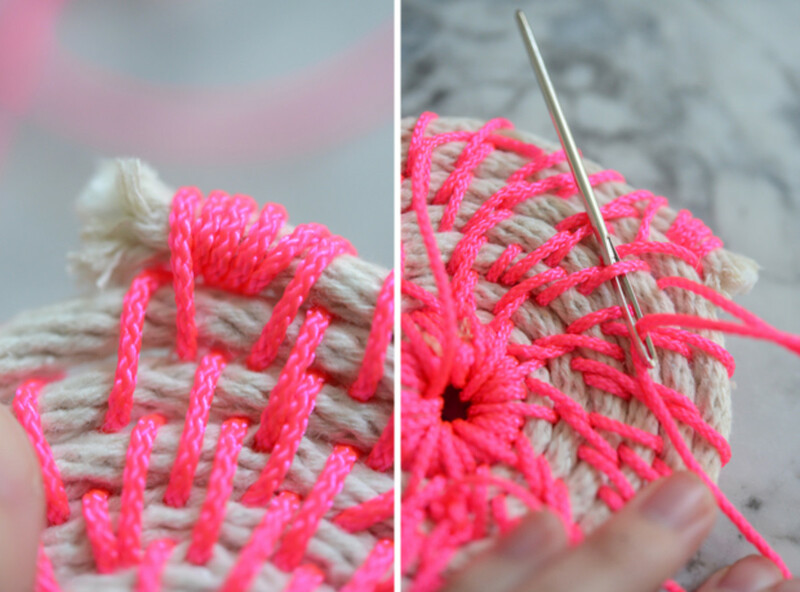 Step 5: As you continue wrapping the spiral (now to row 2 and beyond) you want to secure the current row by pulling the needle and pink thread through the space between two previous rows. 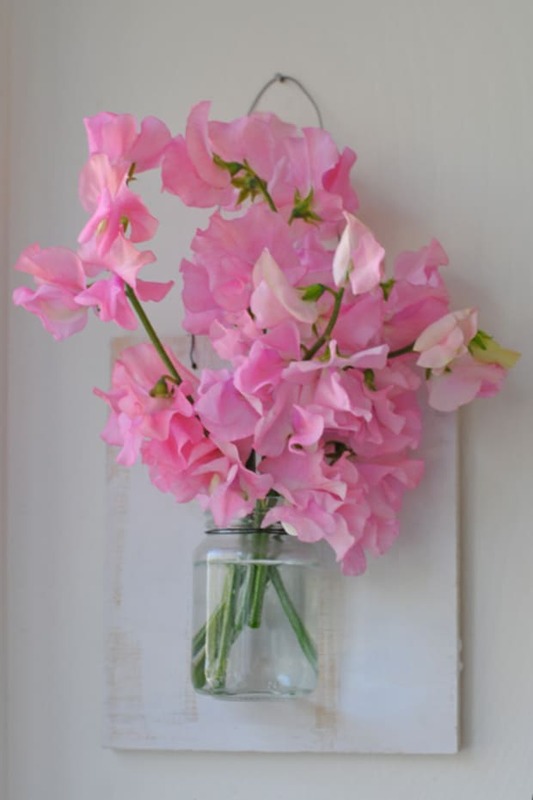 For example, the thread securing row 3 would be pulled between the space of row 1 and row 2. 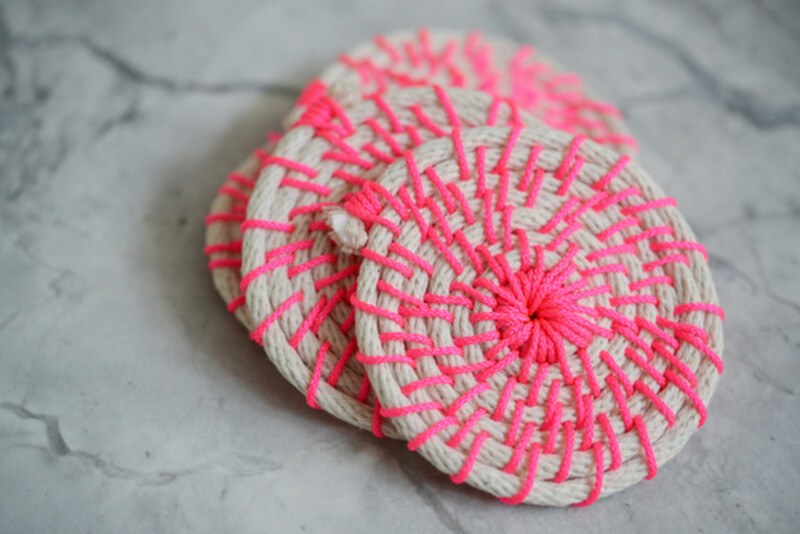 Repeat this process, leaving gaps of exposed rope, so the neon twine creates a web-like pattern. 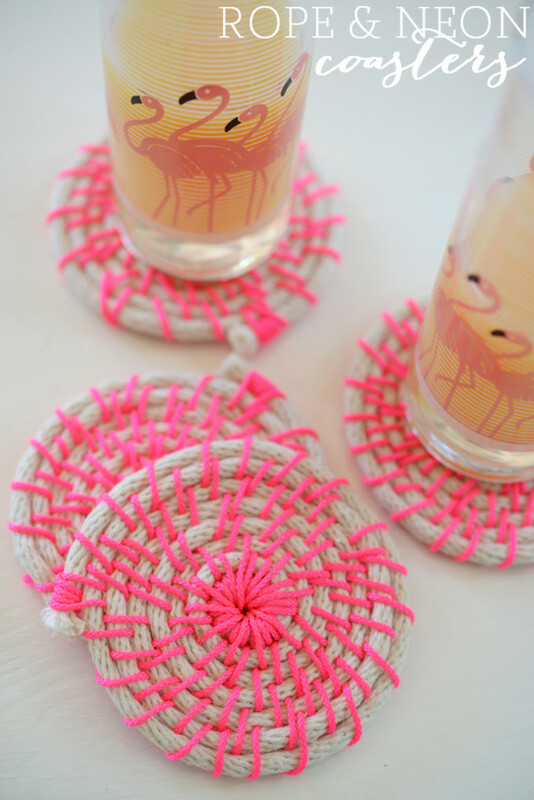 Step 6: When you get to the end of the rope, wrap the neon twine around the end a few times and then secure to the coaster (like you did in step 5.) 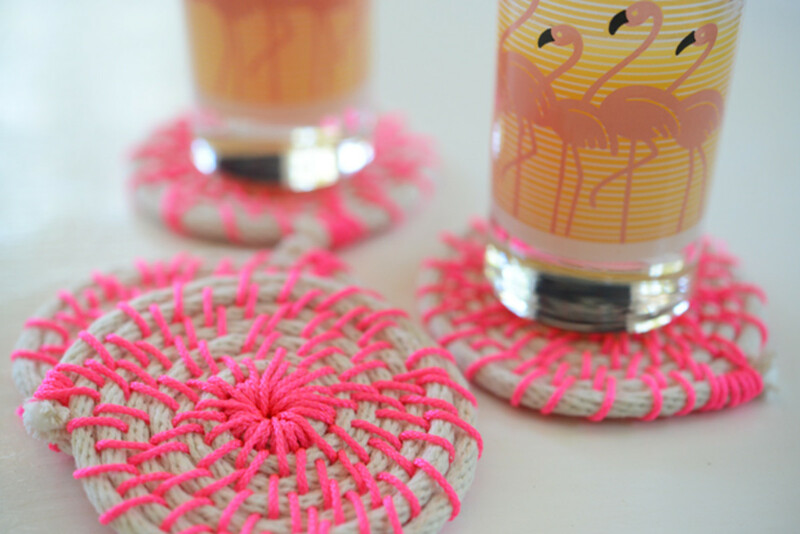 Flip the coaster over, run the needle under one of the pink twine layers, tie a tight knot and clip off any excess.